Melanie Patterson’s grandparents bought this house on Broad Avenue in Belle Vernon in 1949, flush with $36,000 they’d received for the Fayette City farm they sold to make way for I-70. Her grandmother decorated it when they moved in, and much of that decor stayed until 2006, when the last of their 12 children stopped living there. When none of the other family members wanted the house, Ms. Patterson bought it in 2006 intending to fix it up and rent it out as a guest house. But the contractors she brought in couldn’t stop reminiscing over the perfectly preserved mint green tiles in the kitchen or the mustard yellow paint in the living room. 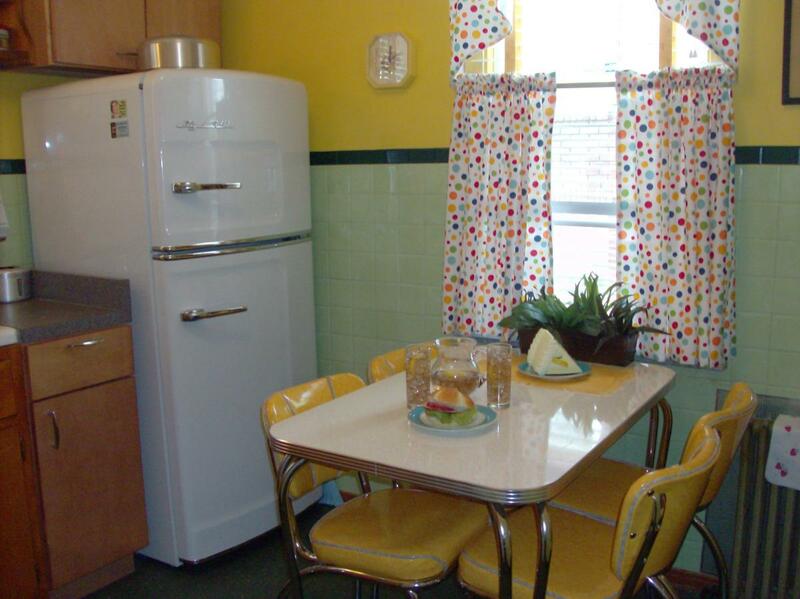 It occurred to Ms. Patterson that she could keep and even market the old decor. And so, the Good Ol’ Days House -- jammed with carefully accumulated Western Pennsylvania memorabilia -- was born. She rents the Good Ol’ Days House by the day, week or for months at a time. Rates are currently $280 per night for a minimum of two nights, but vary by season and length of stay. While North Belle Vernon may not seem like a tourist destination, Ms. Patterson receives plenty of guests visiting Pittsburgh, nearby Fallingwater, or going on hunting trips. Her meticulously kept guestbook also has entries from people returning to the area for a family funeral, looking for a place friendlier than a hotel room.